Help reduce the likelihood of food sensitivities for cats with grain allergies. 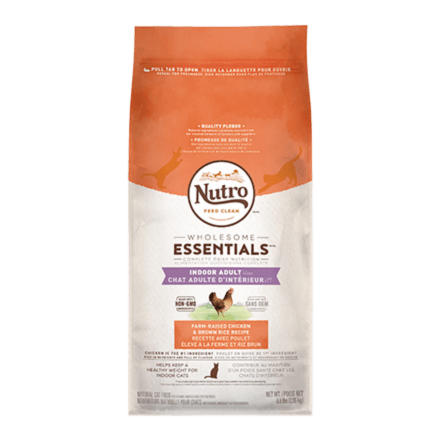 NUTROTM Grain Free Adult Dry Cat Food Duck & Potato Recipe contains 0% grain and is fortified with a high level of omega fatty acids for healthy skin and soft fur. 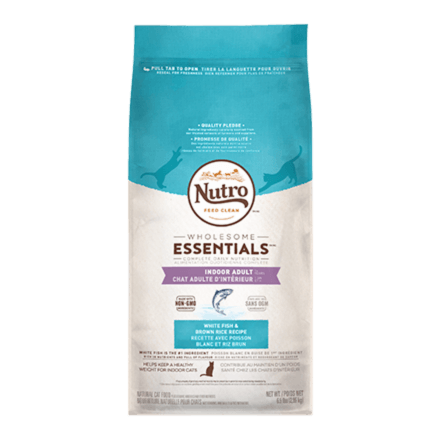 Our premium natural grain free cat food features antioxidants to help support your cat’s immunity, and best of all, nutrient-rich, non-grain carbohydrates provide all-day energy and help aid digestion. Your cat will enjoy the taste of real duck and that it’s gentle on their sensitive system. Our #1 ingredient is real duck, a rich source of essential fatty acids and amino acids for strong muscles. ‡Use a standard 8 oz. (250 ml) measuring cup, which holds 3.96 oz. 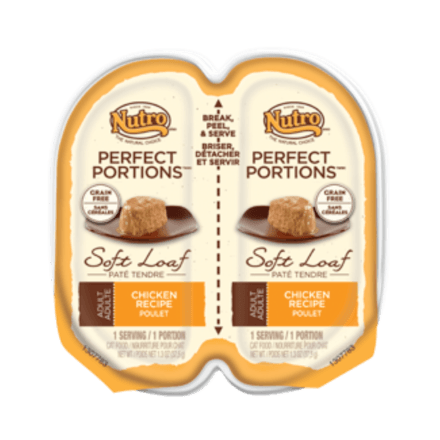 (112 g) of NUTROTM Grain Free Adult Cat Duck & Potato Recipe Dry Cat Food. 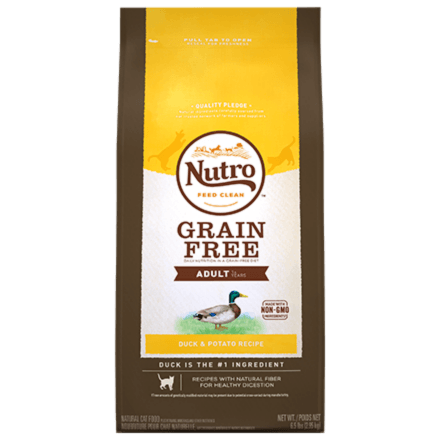 NUTRO™ Grain Free Adult Cat Food Duck & Potato Recipe Dry Cat Food is formulated to meet the nutritional levels established by the AAFCO Cat Food Nutrient Profiles for maintenance.